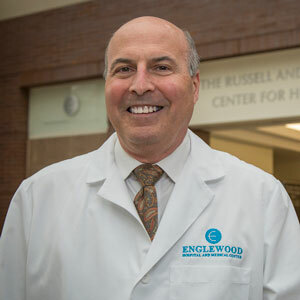 (Englewood, NJ, November 28, 2015) – Englewood Hospital and Medical Center (EHMC) has named Steven T. Brower, MD, as its new chief of surgical oncology and medical director of the new Cancer Treatment and Wellness Center. Dr. Brower, a nationally recognized hepatobiliary and gastrointestinal cancer surgeon, specializes in minimally invasive surgery for complex cancer cases involving the liver, stomach, esophagus, and pancreas. In his role as medical director of the new Cancer Treatment and Wellness Center, Dr. Brower will collaborate with other physicians and staff to organize disease management teams, focused on bringing together experts who share goals of a comprehensive approach to cancer prevention, screening, diagnosis, and treatment. Dr. Brower most recently was professor and vice chairman of surgery at the Icahn School of Medicine at Mount Sinai and the chief of surgical oncology and director of strategic planning and extramural affairs at the Continuum Cancer Centers of New York. He was awarded the Clinical Oncology Career Development Award by the American Cancer Society. He is also the co-editor of a surgical textbook, “Evidence-Based Medicine in Elective Surgery,” which was published in 2012. Dr. Brower received his medical degree from the State University of New York at Buffalo and later completed his internship and residency at Boston University. He then completed fellowships in surgical oncology at the Surgery Branch and Laboratory of Biochemistry at the National Cancer Institute and Boston University Medical Center. Dr. Brower is a member of MD Partners, the physician network of Englewood Hospital and Medical Center, and can be reached at 201-608-2800.